As of January 20th, 2019, we’re past the halfway point of the season and we’re coming upon the All-Star break; I think it’s time to give out some trophies. There’s still a lot of time left in the season, but at this point the season has settled in enough to reasonably crown some winners. Without further ado, here are your NHL trophy midway point award winners. There are many amazing candidates worthy of the title of MVP. At the end of the day, I think it’ll go to the best player on the best team in the league: Nikita Kucherov. The Tampa Bay Lightning have been the class of the league all season, currently sitting with a seven-point lead on the team in second place, and they’ve been led by their high-scoring winger, Kucherov. Kucherov leads the league with 78 points and 56 assists, and he has 22 goals to go along with it. His points per game (1.59) and power play points (28) also both rank first in the league. Now, you can make the argument that the Lightning is the best team in the league and has a number of dynamic players that would’ve helped it get to that point regardless of Kucherov’s performance. I say that Kucherov has been a direct factor of 40% of his team’s goals this season, and when you have a player knocking on the door of the century mark in points just past the halfway point, then it’s a no-brainer that the most dominant player on the most dominant team wins MVP. The Lady Byng is awarded to the player who exhibits sportsmanship and gentlemanly conduct. This season, the winner is Aleksander Barkov. The Panthers’ captain is an exemplary model for what the award is all about. He only has 2 penalty minutes all year in 23:08 average time on ice a night, and those are hard, top-line minutes against the opposition’s best players. He is also taking his new leadership role as team captain in stride, setting an example for his teammates. His TOI trails only Aaron Ekblad, a defenseman, on his team, and his penalty minutes trails only goalies among Panthers who have played half the games thus far this season. Quite possibly no goaltender has had to carry his team on his back as much as John Gibson has had to do for the Ducks. He has a 2.67 goals against average, 17 wins, and a .921 save percentage (which is currently 5th in the league). But the sheer amount of work he has had to do for the Ducks is astounding. He has played in 42 games this season, tied with Marc-Andre Fleury for most in the NHL. He has faced the most shots in the league by a mile — he’s faced 1330 shots, and Fleury, the guy sitting in second, has faced 1197, which is a whopping 133 shots less. The same is true with total saves made — Gibson has made 1225 saves, and Fleury sits second with 1091 (134 less). The Ducks, as established by these numbers, give up a lot of shots and constantly leave Gibson under siege — they are 3rd in the league in shots against per game with 34.3. Meanwhile they are a much-improved 18th in the league in goals against per game, largely thanks to Gibson’s play. The skaters aren’t helping Gibson out much offensively either. The Ducks are 30th in the NHL in total goals scored, with only 116 goals scored so far this season (the Los Angeles Kings are last, with 109). Gibson has been doing this whole thing basically on his own. Reliable veteran backup Ryan Miller has been injured since early December, and even then he only made 10 appearances. Since then, Gibson has been hard-pressed to leave the net at all. And, despite the rest of his team barely pitching in to help, Gibson has willed his team to a 21-19-9 record that currently sits them in a wild card spot. Gibson gets this Vezina almost solely for his troubles alone. There was no contest for this one. 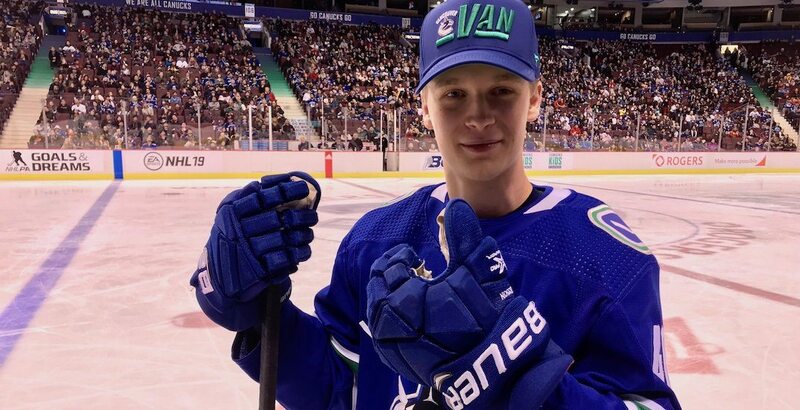 Elias Pettersson is far and away the winner of rookie of the year. He’s been tearing the league apart since the beginning of the year, and he is leading in just about every rookie category. He has 42 points, almost twice as many as the next-closest player (Colin White, 26). His 22 goals is twice as many as the next-closest player (a four-way tie with 11 goals apiece). His 20 assists only trails Rasmus Dahlin (21). He leads all rookies with his +13 rating, 6 power play goals, 13 power play points, and 7 game-winning goals, and his 18:01 time on ice per game leads all rookie forwards. Pettersson wins this award easily. 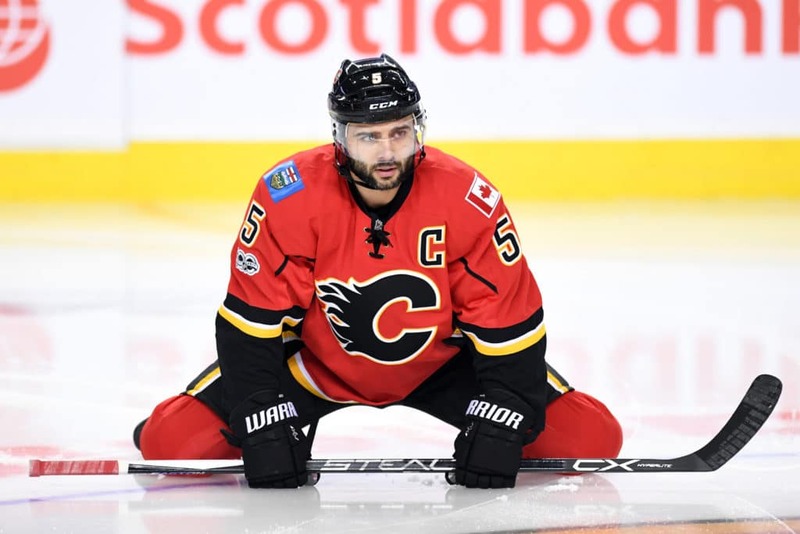 At age 35, Mark Giordano is having the best year of his career, and, in my opinion, he is on pace to win the trophy for best defenseman, beating out both media favorites in San Jose. This season he has 52 points, which is tied for first among defensemen with Brent Burns, 41 assists (2nd among defensemen behind Burns), and 11 goals (3rd among defensemen). His previous high in points is 56, and it’s looking like he’s going to blow that out of the water. Additionally this season he has 1.08 points per game (1st among defensemen), 18 power play points, 97 blocked shots, 24:45 time on ice per game, and a +30 rating, which is top in the entire NHL. His advanced Corsi numbers are also great — his Corsi For percentage is 56%, and his Corsi For per 60 minutes is 63.4. The Flames captain has always been great on the defensive end, and he’s doing that exceptionally well this year, along with adding a stellar offensive part of his game. The highest he’s ever placed in Norris voting is 6th, but I think he’s got the resume to actually win it this year. This year, coach of the year is going to the coach of the best team in the league. Typically, this award might go to the most-improved team, the team with the new coach that’s having an impact, or the team that’s doing significantly better than everyone thought they would. With the best team, arguments can be made that with the talent they have, the coach doesn’t even need to do that much. 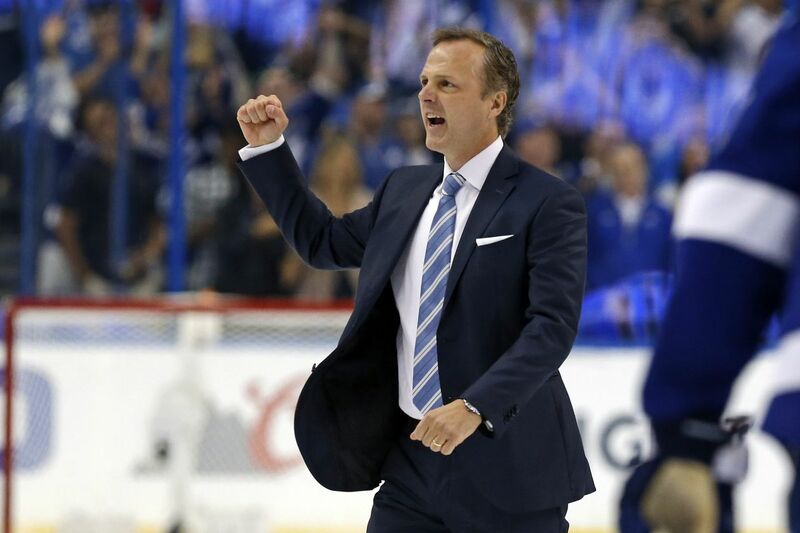 But with the Lightning, they are the best team by a mile, and head coach Jon Cooper is a big part of that. They’re dominant in every part of the game, and Cooper has to be given credit for deployment, practice, work ethic, and everything else that goes into that job. The Lightning have a seven-point lead on first place, they’ve scored the most goals in the league (196), and they’re 18th in goals against (140). Yes, that’s a goals differential of over +50. Their power play is top in the league at 29.5%, their penalty kill is 5th at 83.5%, and their shots for per game is 32.5. At this point, they’re better than everyone else in almost every category, and Cooper is at the helm of it all. No, I’m not giving him this award because I like Aleksander Barkov (even though I do really like Aleksander Barkov). It’s because he’s really good at this aspect of the game. The Selke, the award for the best defensive forward, is one of those awards that goes to the same few people every time. Patrice Bergeron and Anze Kopitar have won 6 of the last 7 Selke awards. Barkov is going to become the next person who just keeps winning this award. As I said earlier, Barkov has been performing well in extended top-line minutes, and he especially excels defensively. He is very good on the turnover margin — he has 65 takeaways (3rd in the NHL), and only 43 giveaways (that’s a +22 differential). Getting into the advanced stats, he has good Corsi numbers, as well — his Corsi For percentage is 54.1% and his Corsi For per 60 minutes is 62.2. Basically, his team is controlling the puck more often than not when he’s on the ice. Plus, he’s got that ability to just beat you on the puck. My bet — there’ll be a new Selke winner in town when this season comes to its end. In the course of one offseason, the Buffalo Sabres did a one-eighty and completely turned their franchise around. Their 25-45-12 season ended in winning the draft lottery and securing the belle of the ball in the 2018 draft, defenseman Rasmus Dahlin, who was signed to his entry-level contract and now sits second among NHL rookies in points. Then the Sabres pulled off one of the monster trades of the offseason, sending Ryan O’Reilly to the St. Louis Blues in exchange for three roster players (Patrik Berglund, Vladimir Sobotka, and Tage Thompson), a first-round pick, and a second-round pick. Then they acquired Jeff Skinner from the Carolina Hurricanes for a prospect and three picks; currently Skinner sits second in the NHL with 30 goals on the season. The once-maligned Sabres are 24-18-6 thus far this season, and are looking to challenge for a playoff spot. 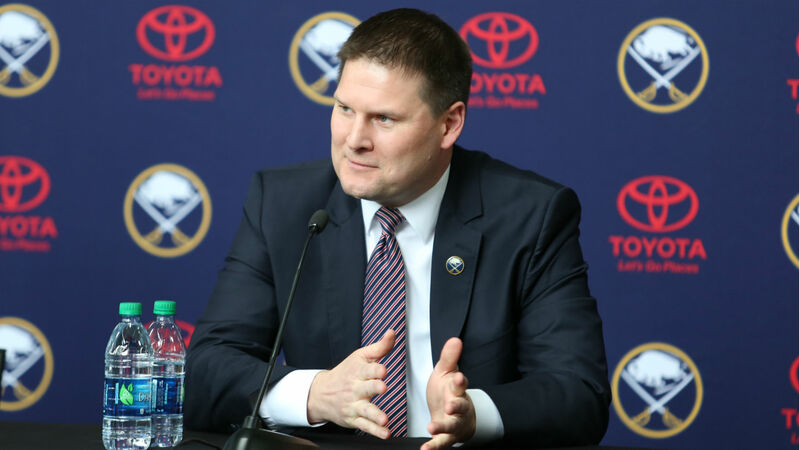 The culture has completely changed in Buffalo this year, and much of it is thanks to the many moves made by general manager Jason Botterill this offseason. Note: this list does not include statistical awards, off-ice awards, playoff awards, team awards, the best prospect award, or the Ted Lindsay Award (as my nominations would be the same as for the Hart).